[Jesus prayed,] "I have revealed you to the ones you gave me from this world. They were always yours. You gave them to me, and they have kept your word. Now they know that everything I have is a gift from you, for I have passed on to them the message you gave me. They accepted it and know that I came from you, and they believe you sent me." 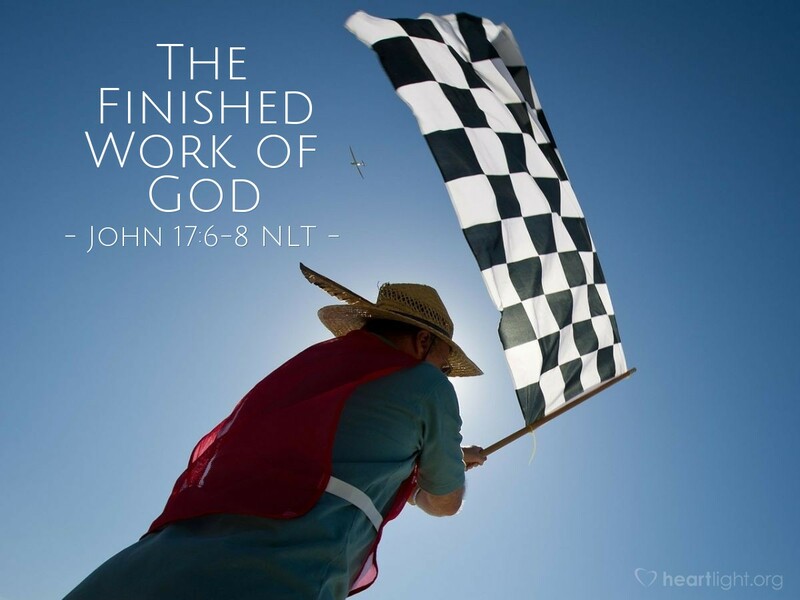 The work God wants from us is to believe in his Son, the one God sent to earth (John 6:29). Jesus helped bring his disciples to that faith as much as possible before the crucifixion and the resurrection. He gave them words. He gave them love. He gave them forgiveness. He gave them his example. Then he had to give his life and send his Spirit so he could send the disciples out with authority to share his story. Jesus entrusted all that he did and all that he was to a group of human beings. They changed the world. So can we. We have the same Savior. We have the same Spirit. We have the opportunity. The real question is this: Do we have the same faith? Holy and righteous God, my loving Father, please use me to be part of your plan to touch the world with your grace and salvation. In Jesus' name, I pray. Amen.